This simple, non-invasive breath test by Genova Lab detects lactose intolerance, a condition affecting more than 50 million Americans. Proper detection enables effective treatment of lactose maldigestion and malabsorption, to help alleviate chronic symptoms of bloating, gas, diarrhea, and abdominal pain. Lactose intolerance is one of the most common gastrointestinal disorders, affecting hundreds of millions of people worldwide. This condition arises from an enzyme (lactase) deficiency in the gut, either as a result of genetics or a temporary irritation of the small intestine. Without adequate amounts of lactase, the digestive system is unable to properly break down and absorb lactose, the main sugar in milk and dairy products. When this happens, unabsorbed lactose is fermented by bacteria in the colon, causing the release of hydrogen and methane gases. By disrupting intestinal absorption, lactose intolerance may also trigger a shortage of critical nutrients. Eventually the digestive system may become weakened, and made more susceptible to parasite infection, as well as yeast and bacterial overgrowth. 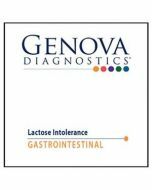 When lactose intolerance is properly diagnosed, the patient is easily treated with dietary or supplement modifications. However, misdiagnosis often occurs because primary symptoms often overlap with those of other conditions. Studies indicate that up to 70 percent of lactose intolerant patients do not relate their symptoms to lactose ingestion. Milk and dairy products are often considered important sources of nutrients for children, pregnant women, nursing mothers, and older adults. For these individuals, testing is crucial to prevent the unnecessary elimination of such products from the diet. If you have an abnormally high glucose level, this will interfere with testing. 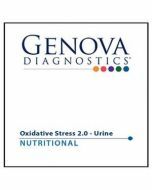 The Lab cannot perform this test on diabetics with >105mg/dl fasting urine glucose concentration. If you have had an allergic reaction to foods (including sugar free foods, beverages, candies, gum and mints) containing sugar alcohols such as sorbitol or xylitol you should NOT take this test. It is NOT recommended for individuals who have had allergic reactions to lactulose or are on lactose-restricted diet. 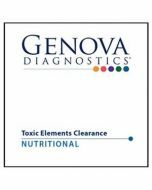 It is a highly sensitive and specific test to identify lactose malabsorption. It is a simple and noninvasive test. It is well tolerated by patients of all ages. Demonstrates increases in hydrogen and methane arising from bacterial fermentation ofundigested lactose, which show up in the breath within one to two hours after exposure.